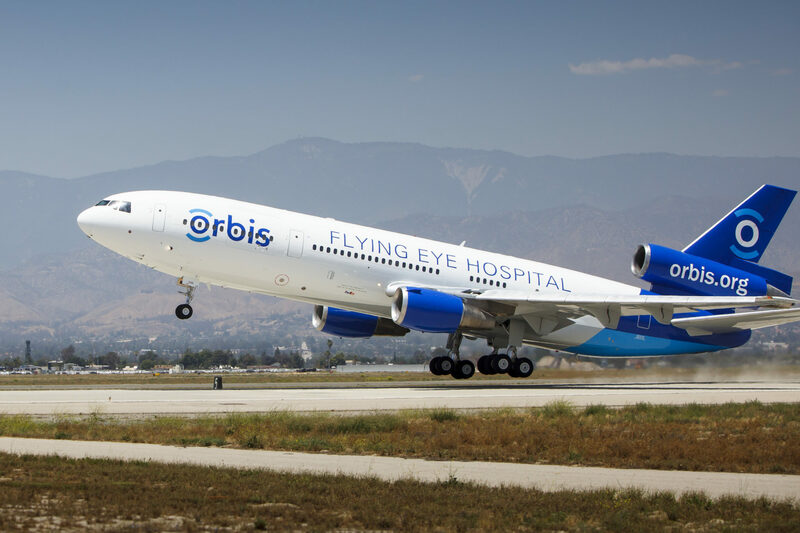 Orbis, the international nonprofit that fights blindness around the world today unveils their new Flying Eye Hospital, at Los Angeles International Airport. More than six years in the making, the third-generation Flying Eye Hospital is the world’s only mobile ophthalmic teaching hospital on board an MD-10 aircraft. 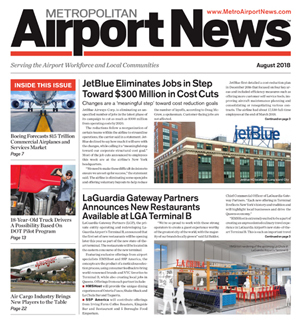 Hundreds of experts have come together to combine the latest in avionics, hospital engineering, technology and clinical expertise to make the new Flying Eye Hospital a reality. It features a modular design, 3D technology and live broadcast capabilities enabling Orbis, with their expert Volunteer Faculty, to train more doctors, more nurses and healthcare professionals—ultimately treating more people and restoring their sight. More than 285 million people are visually impaired, and 4 out of 5 suffer from preventable conditions. Ninety percent of these people live in developing countries where they cannot access sight-saving treatments that many take for granted in the USA. For more than 30 years, Orbis has helped countries build the skills and resources they need to prioritize and deliver quality eye care to their local communities. Their team of over 400 expert medical volunteers, from 30 countries, accomplishes this by training local medical teams both in their hospitals and on the Flying Eye Hospital, emphasizing quality and safety standards for patient care. The MD-10 aircraft housing the new Flying Eye Hospital has been donated to Orbis by longtime aviation sponsor, FedEx, and has been custom designed to bring the best of medical technology and training to the developing world. It is the only non-land-based hospital in the world that is U.S. accredited by the AAAASFI (American Association for Accreditation of Ambulatory Surgery Facilities International), and it is equipped with everything the Orbis medical team needs to provide hands-on training to local eye care professionals and convey the know-how to save and restore sight for patients in their own countries. The Orbis medical focus ranges from cataract—the world’s leading cause of avoidable blindness—to refractive errors, diabetes-related conditions, glaucoma, strabismus and more, helping to transform lives. Orbis trains the entire eye care team, from health workers in rural clinics to eye surgeons in urban centers—a sustainable model that has proved invaluable for its results around the world. The plane boasts new 3D filming and broadcast capabilities so that participants in the classroom can experience and learn from live surgeries with a view similar to the surgeon’s microscope lens. 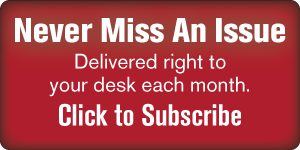 The Cybersight telemedicine platform then provides partner doctors free continuing medical education and mentorship from anywhere in the world, with availability to connect on difficult cases, share real-time diagnoses, and more, in the effort to use new technology to bridge healthcare gaps around the world. The Flying Eye Hospital includes a 46-seat classroom, state-of-the-art AV/IT room, patient care and laser treatment room, operating room, sterilization room and a pre-and post-operative care room. The hospital suite comprises nine customized modules similar to commercial cargo containers. On a technical basis alone, this pioneering module approach will save money, time and resources during these programs as Orbis leads the way in the fight against blindness (also in conjunction with the WHO Vision 2020 global initiative). In the past five years alone, from 2011-2015, Orbis work has facilitated 10,000 trainings of doctors, 104,000 trainings of nurses, biomedical engineers and other health care workers, and 11.6 million screenings and eye exams either on the Flying Eye Hospital or at Orbis in-country partner hospitals. After its showcase in Los Angeles, the Flying Eye Hospital will visit five additional U.S. locations—New York, Washington, D.C, Memphis, Dallas and Sacramento—this summer to offer people the opportunity to experience the new plane, to learn about Orbis and to find out about how they, too, can be a part of this global health effort. The Flying Eye Hospital will then depart to Asia to conduct its inaugural program in Shenyang, China this September. For more on the launch, the Orbis organization, and to visit the new Flying Eye Hospital when it touches down in your hometown, check out www.orbis.org/launch or join the conversation on Facebook, Twitter and Instagram using the hashtag ‪#FlyingEyeHospital or #OrbisLaunch.